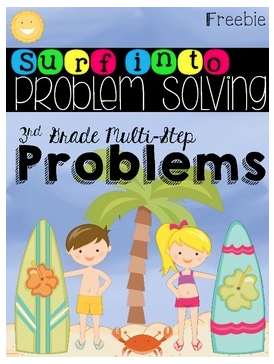 With school coming to an end don't allow your students to leave your classroom without mastering a very important skill...the dreaded two step word problems! This resource can be used from 2nd to 4th grade. It can be used to enrich second graders, used to assess third graders (since it's a CCSS), and used as a reteach for fourth graders. There is a pre-assessment and a post-assessment in this freebie. The pre-assessment can be used to form an RTI/progress monitoring group for struggling students or used as a supplement to any math program you are using.